Are you searching for a Flagstaff Forest Wedding Venue? If so, you have come to the right place. 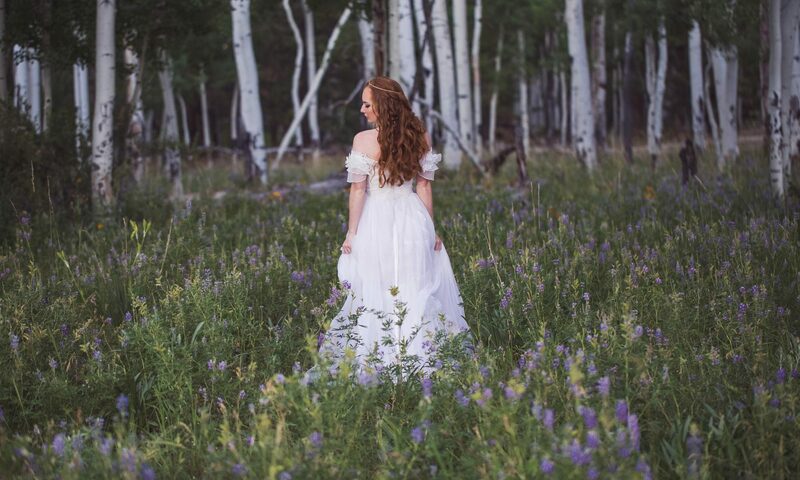 Through our Special Use Permit from the Coconino National Forest, we are now able to offer this unique and beautiful venue option to Couples getting married in Northern Arizona. We offer a package approach to help simplify the process of planning your perfect day. Therefore, we can eliminate the often overwhelming task of finding the perfect vendors and venues on your own; by providing bundled services supplied by top-notch wedding professionals. The packages are priced to accomodate a wide range of wedding styles and budgets. Flagstaff is truly a wedding destination for all seasons. By far, our outdoor wedding locations offer the most amazing backdrops for a most unforgettable experience. From mountain views and lush pine forests, to expansive aspen groves, or stunning fields of wildflowers; we are sure to have the location of your dreams. Not looking for an All-Inclusive Forest Wedding Package? In that case, please check out our Venue Search Packages and Wedding Planning Packages for other Flagstaff Wedding options. If you have a larger group, or are looking to host both a Wedding Ceremony and Reception, please review the package options below. We can accommodate groups up to 200 at various locations. Includes: Ceremony Venue, Chairs or Benches, Officiant, Photographer, Wedding Coordinator, Bridal Bouquet & Matching Boutonniere. Restrooms and Shuttle Service are upgrades that may be required. Includes: Venue, Chairs or Benches, Officiant, Photographer, Wedding Coordinator, Bridal Bouquet & Matching Boutonniere, Lawn Games, Table & Picnic Seating, Deli Platter, Crudites, Fruit Tray, Desserts. Restrooms and Shuttle Service are upgrades that may be required. Includes: Ceremony Venue, Chairs or Benches, Officiant, Photographer, Wedding Coordinator, Bridal Bouquet & Matching Boutonniere, Lawn Games, Table & Picnic Seating, BBQ Buffet (other menu options available). Restrooms and Shuttle Service are upgrades that may be required. The per person price for this type of package can range from $150 to $300 per person. All-inclusive package prices can be expected to range from $15,000 to $30,000 for a group of 100, depending on specific selections. This type of package may include: an approved Forest Venue, Wedding Coordination, Wedding Minister, Photographer, Musician / DJ/Dance Floor, Event Rentals, Shuttle Service, Catering, Cake/Desserts, Restrooms, Floral / Decor. The base price for this type of all-inclusive package starts at $15,000 for a group of 50. Per person prices for this type of package generally run between $300 and $375. The average price for a Formal Forest Wedding with an Event Tent for 100 people will be in the range of $30,000 to $35,000 depending on specific selections. This type of package will include: an approved Forest Venue, Wedding Coordination, Wedding Minister, Photographer, Musician / DJ, Event Rentals with Tent, Shuttle Service, Catering, Cake/Desserts, Restroom Trailer, Floral & Decor, Power, Event Lighting, and Enchanted Forest Up-Lighting. We do offer Weekday Discounts, as well as “Weekend Sharing Rates” (as available).